With complex tax rules changing every year, it can be more difficult and stressful to prepare and file your own tax returns, which can leave you with more questions than answers. 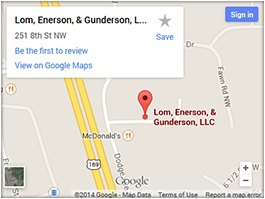 At Lom, Enerson, & Gunderson Tax Services, we stay current with all of the tax law changes. We provide professional income tax preparation services for individuals, couples, families, and business owners in Minnesota. 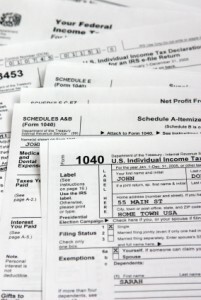 Our service is distinguished by close personal attention to your tax preparation. The objective of every tax return preparation and income tax planning engagement is to capture every relevant item to ensure you pay the lowest possible tax allowed. We guarantee excellent customer service so you can relax and watch your assets grow. Available tax services include: federal and state income tax return preparation, preparation of amended tax returns to reflect post-filing changes in a tax situation, and income tax planning for multiple years or specific situations (such as saving for college or claiming proper deductions and/or credits for education expenses). We also provide bookkeeping services for small businesses and small corporate accounts. Lom, Enerson, & Gunderson Tax Services, LLC also offers representation for taxpayers facing audits, tax collection actions, or tax appeals. An authorized representative can deal with the IRS on your behalf to deal with back taxes or other tax problems. In most cases, a taxpayer with an authorized representative does not have to personally attend IRS audits or hearings. 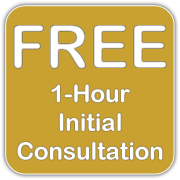 Please feel free to contact us for your free initial consultation at (763) 712-0300!